North Sumner Elementary School – Since it is the end of the school year, we wanted to create a small memento for each classroom teacher. We decided to create a picture with each student’s thumbprints. 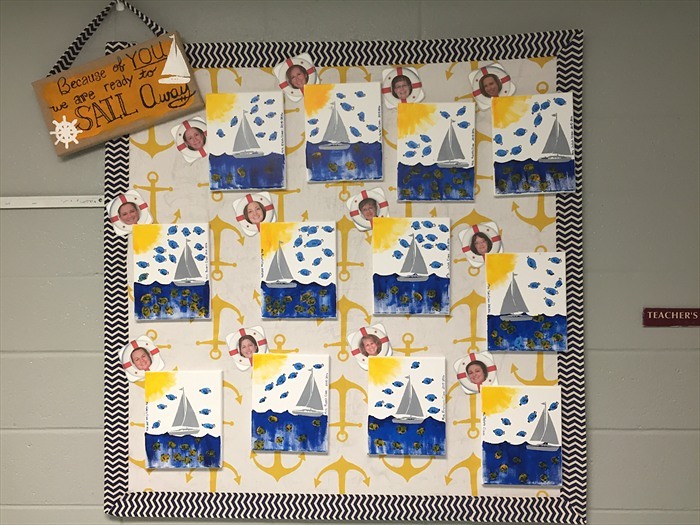 Going with the nautical theme, students chose if they wanted to create a bird or a fish on the canvas. When completed, we attached a class roster to the back of the canvas and also gave a legend labeling the location of each student’s thumbprint. The students were excited to work on this project and we also received positive feedback from the teachers. It was an unusual and appreciated way to say “thank you” to each teacher. Click here for the photos.